MIDLAND, Mich. - We've told you about Military Monday, Two-fer Tuesday and Hump Day Happy Hour featuring the Great Lakes Camels, but, that's just the beginning! 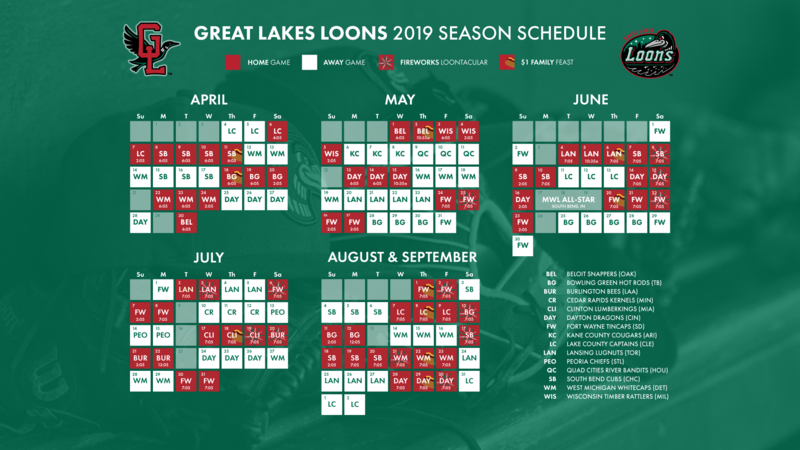 Check out what fun awaits with the Great Lakes Loons as homestands roll towards the weekend during the 2019 season! As we take a look back through the history of "Feast Night" at Dow Diamond, you'll remember that it debuted during the 2009 season on Tuesday nights and remained there for two seasons. The following year in 2011, it shifted to Wednesdays before settling in on Thursday evenings beginning in 2012. We've partnered with Chemical Bank for 10 seasons to make an affordable experience even more cost-effective. 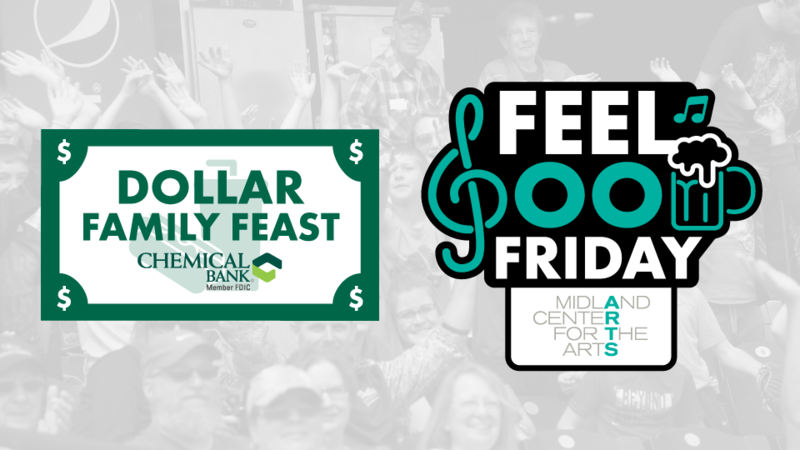 We're excited to have $1 Family Feast presented by Chemical Bank back for another year on Thursday nights! Fans have become accustomed to getting those ballpark favorites in hot dogs, chips, 16oz Pepsi products and ice cream sandwiches all for just a $1 on those nights. However, one of the main pieces of feedback we received was that the concession stand lines are too long. It'll be music to everybody's ears that we'll be providing satellite stations throughout the concourse that will specifically have those feast night items available. We anticipate wait times will be far shorter than in previous seasons, allowing you to get back to your seat and not miss much of the game. What we're calling "Extra Innings" will give fans the option to do something everybody always wants to do: go on the field! Following every Friday home game beginning with Memorial Day Weekend, your ticket for that night's game will be your pass to go onto the field after the game where you can enjoy music, yard games and who knows what else! Don't forget that single-game tickets for the 2019 season go on sale March 4th. Season ticket packages and mini-plans are on sale now.